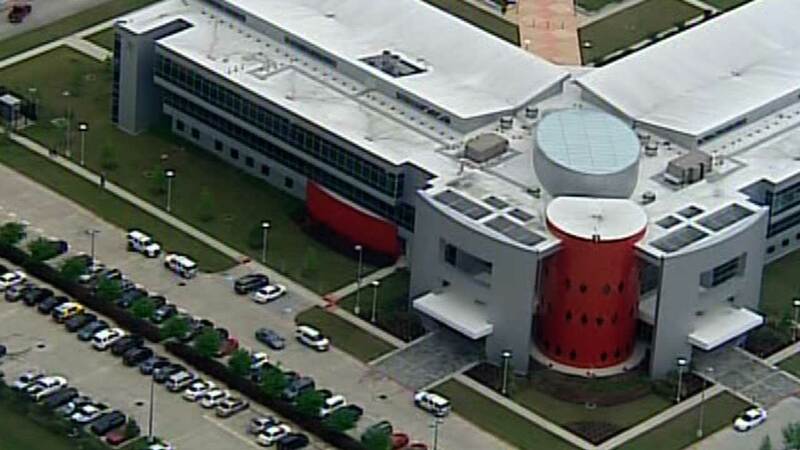 HOUSTON (KTRK) -- A high school student attending dual credit classes fell from a third floor hallway on the San Jacinto College south campus. The accident happened just before 9am in the South Campus Allied Health and Science Building on Beamer Road. The 17-year-old somehow went over a railing on a third flood interior hallway in an atrium. Campus officials described his injuries as serious, but he was alert when paramedics arrived. He was transported by ambulance to Clear Lake Regional Hospital. His parents have been notified, and an investigation is under way. San Jacinto College and Clear Creek ISD have deployed counselors for students and employees who may need their support.